I just listened to Oliver Stone talking on BBC. It seems that when people become famous in Hollywood they think they are more insightful about anything. The fact is that Stone is as professional as most rabid right winger he wants to distance himself from. In fact, Stone's objectivity - I don't talk about partiality - is as good as that of the most partisan media in the US. Right now even most members of the German extreme left party Die Linke have a more critical view of Chávez than Stone. I think the BBC should also have engaged a journalist with a deep understanding of Venezuela, not someone asking very predictable questions. When the journalist asks him about freedom of expression, Stone just goes into "oh, that is so oligarchic", probably with some eye-rolling. Oh, Oliver, you are so cliché. Stone says most people (what's "most people"?) watch the private media. This is very telling. This shows the only thing he knows about Venezuela is derived from his guided tours with Chávez, from his time in the luxurious hotels watching Globovisión - the only regime-critical channel nowadays- and looking at the kiosks in Caracas. This "specialist" does not speak Spanish, hasn't got a clue about Venezuela's oil cycles, hasn't delved into enough information regarding countless corruption cases carried out by the Boliburguesía, starting with Chávez's clan. His sources are things like "The Revolution shall not be televised". Stone, as a rich pseudo-socialist would be completely at lost if he were to debate with someone like Teodoro Petkoff or...hell, even with your humble blogger. People like Stone are not interested in Venezuela at all. Venezuela is just a tool in their private fights. 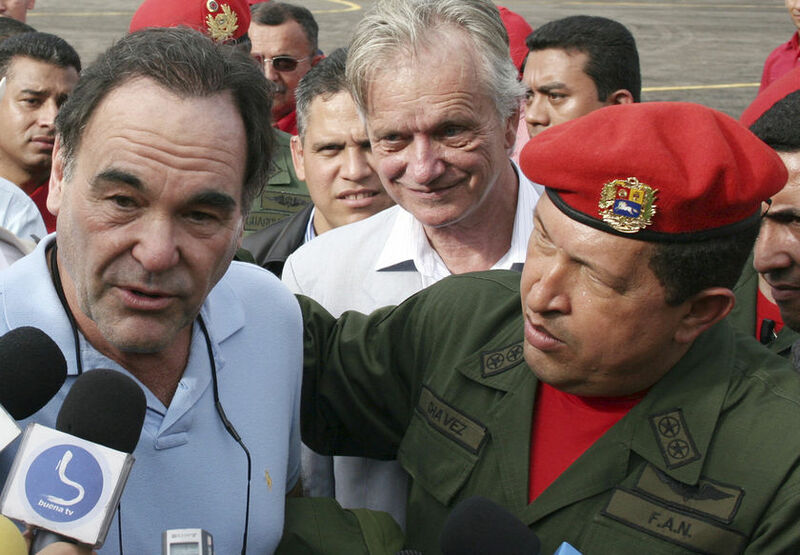 For people like Stone you are either with Chávez or you are with the terrorists. Does this sound a bell to you?